Russell Rescue Resources - Russell Rescue, Inc. This page contains rescue resources (web site links and frequently asked questions) that you may find helpful. Please use the information below to make an informed decision regarding adopting a Jack Russell Terrier. Jack Talk – Is the Jack Russell Terrier the right dog for you? 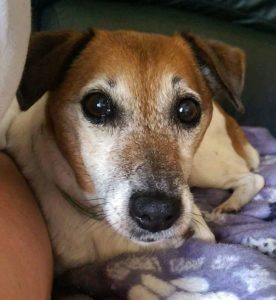 Jacks Galore, Inc. – Jack Galore is not part of RRI but is a shelter in Massachusetts that holds to the same high standards and pursues the same cause to place unwanted terriers. You will need to apply directly to Jacks Galore for adoption. PetPlan Pet Insurance – Use the Russell Rescue Promotional Dscount code of SPD88473 when enrolling. ADPTA – This site provides a link to dog trainers for behavioral assistance. The JRTCC National Russell Rescue is a cross country network of JRTCC members dedicated to placing unwanted or abandoned Jack Russell Terriers. The Network arranges for emergency rescues throughout the country, and gathers information designed to match appropriate dogs in appropriate permanent and temporary homes. Q. I need to find a new home for my terrier. What do I do? If you got your JRT from a breeder, have you contacted them? Good breeders will take their dogs back no matter what age and/or assist you in finding a new home. It is in some breeding contracts that they are obligated to do so. Have you checked your area for a local Jack Russell rescue? Many times we don’t have a representative in your area because there is another JRT rescue in your state. Just do a Google search with the name of your state and Jack Russell terrier rescue to find local resources. Be aware that there are other rescues using the name of Russell Rescue, Inc. that are not affiliated with us at all. Q. Can you post my dog on your website? We do post dogs on our website that belong to owners seeking new homes for their terriers. We charge a $25 fee to post your dog. The listing will be available for 4 months at which time it will be removed unless you have contacted us prior to that. A disclaimer will be placed on owner listings stating that RRI is not responsible/liable for any information provided or any resulting adoption. Q. I want to adopt a Jack Russell but there is no RRI representative in my state. What can I do? You are welcome to check our website for dogs in nearby states. Contact your local shelters. Do a Google search for other Jack Russell rescues in your area. Q. I Found a Jack Russell Terrier. What do I do? The first course of action that you’ll need to take is to report this found dog to your state/county’s animal services and local shelters. By law, this dog is not your possession to do with as you feel is best for the dog. This dog is someone’s possession and his owner may just be absolutely devastated right now that his/her dog is lost. Most people, when they lose a dog, contact their county’s animal services/shelters right away to see if their dog might have been picked up. By law, you may be obligated to go down to your county’s animal shelter and complete a “found dog” report. Most animal shelters will not require that you physically leave the dog with them but you DO have to file the “found dog” report. Once you officially file the report, the shelter will advise you as to how many days need to pass to allow the dog’s owner to claim the dog. Once the required number of days have passed and the owner never comes forth to claim the dog, then the dog will be your possession to do with as you see fit (surrendering the dog to a rescue group, keeping the dog, finding a new home for the dog on your own, etc). Q: How do I re-home a terrier with behavioral issues? Your dog is a part of your family and we strongly suggest you do everything possible to keep your terrier with you. Unfortunately, thousands of Jack Russells are relinquished each year to shelters and rescues, where they face a very uncertain future. Many of these relinquishments are due to behavioral issues that are often solvable. If you are having trouble addressing your dog’s behavior issue on your own, a dog trainer can be helpful. Trainers often charge a very reasonable hourly fee, and many will provide you with a free consultation to help you determine whether training will help you and your dog. We recommend that you only choose a trainer who uses positive reinforcement methods and has had experience with terriers in the past. (For more on positive reinforcement, please see Dog Training Positive Reinforcement). Finally, the reality is that shelters and rescues are filled with dogs seeking new homes, and the likelihood that a dog with unaddressed behavioral issues is very slim that it will make a successful transition to a new home. Please consider that your dog is closely bonded to you and your family and therefore, with persistence and positive reinforcement, you are the person most likely to help him/her overcome a behavioral issue. Q: I can no longer afford my terrier. Can Russell Rescue find my dog a new home or help me pay my vet bills? In this difficult economy, you’re not alone. Many dog owners are finding it difficult to care for their beloved pets. In fact, shelters and rescues are overflowing with dogs whose families were forced to give them up for precisely this reason. Unfortunately, Russell Rescue is unable to provide direct assistance to pet owners for the care of their terriers. However, there is help available and we strongly urge you to make use of every resource to keep your canine family member with you. Below you’ll find tips and contact information to get you started. If you are having trouble providing for your pets’ needs (food, basic vet care, spaying/neutering), please see this list of low-cost resources and assistance by state. You can also get tips on how to work with your vet to obtain the care your pet needs. If you have lost your home and are moving into an apartment, you can search online for apartments within your price range that accept dogs. Please note that Russell Rescue, Inc. is in no way affiliated with any organization, group or business referenced above. The links listed are provided for informational purposes only and should not be construed as an endorsement.